Jill Golde has been Partner and a creative force in the Language of Caring since its inception. Currently, she is responsible for learning about market needs, championing the Language of Caring with prospective clients and also serving as presenter and coach with selected client organizations. 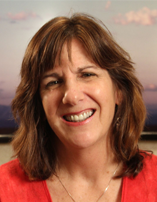 Jill brings to Language of Caring 20+ years of experience in organizational change, leadership development and training with private and public-sector organizations. Having partnered with many hospitals, health systems and medical practices to help them achieve and sustain cultures of caring, she is known for her genuine connection and caring, her sense of humor, her astute observation skills and her remarkable ability to share her perceptions in a constructive fashion. Also, full of integrity, Jill models the skills she imparts. Jill holds an M.S. in Organization Development from American University and a B.A. in Education from Washington University.